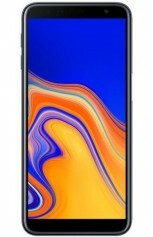 The Galaxy J4+ and Galaxy J6+ leaked a few times and yesterday Samsung even officially teased their Infinity Displays and side-mounted fingerprint scanners. 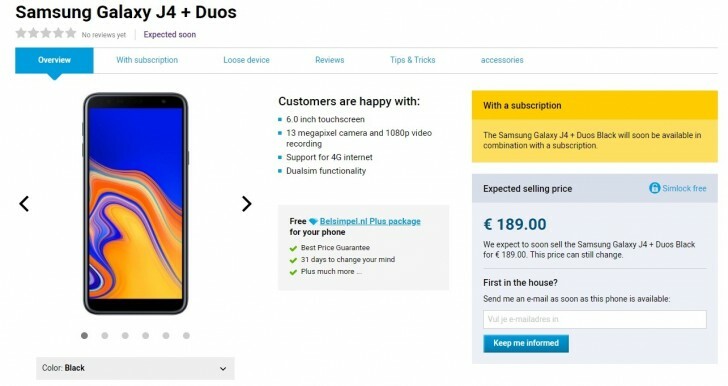 Today, a Dutch retailer has started taking pre-orders for them ahead of the expected September 25 launch. The Samsung Galaxy J4+ is listed with a Snapdragon 425 chipset and a 6-inch 720 x 1480 IPS LCD. 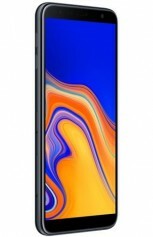 The latter has rounded corners and fairly thin side bezels mimicking the design of the current Galaxy S9/S9+ flagships. It also has 2GB of RAM and 32GB of internal storage with microSD card support. 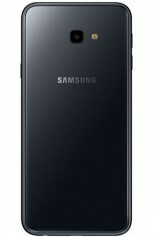 On the back, the handset features a single 13MP camera with f/1.9 aperture and a 5MP front one. The device runs on Android 8.1 Oreo out of the box and it's powered by a 3,300 mAh battery. According to the website, the shell is made of plastic, but the photos show no fingerprint scanner anywhere on the phone. It comes in Gold, Pink and Black colors with a price of €189. It's in the pre-order stage but the store doesn't mention when the device is expected to ship. 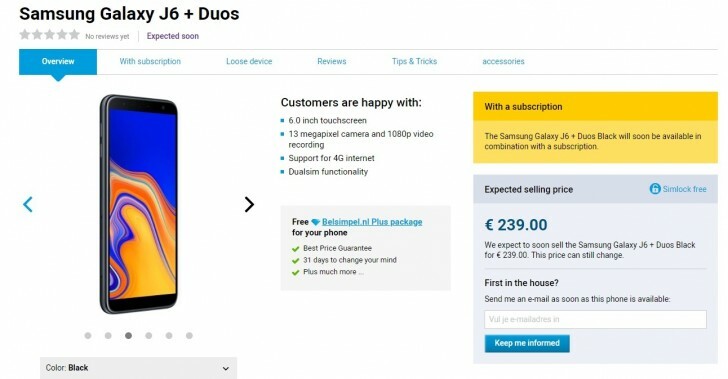 The Samsung Galaxy J6+ appears to have the same chipset but more RAM (3GB) and better front-facing camera (8MP). Its back houses a dual camera setup and it has a fingerprint mounted on the side. The main lens is still 13MP with f/1.9 opening while the specs of the secondary one are unknown. We suppose it's merely used for depth sensing. Everything else is pretty much the same, except for the pricing, of course. The Galaxy J6+ asks €239 and comes in Gray, Red and Black. Special thanks to our tipster! As what I've said earlier, disappointed. Snapdragon 425 at $280... Nope!